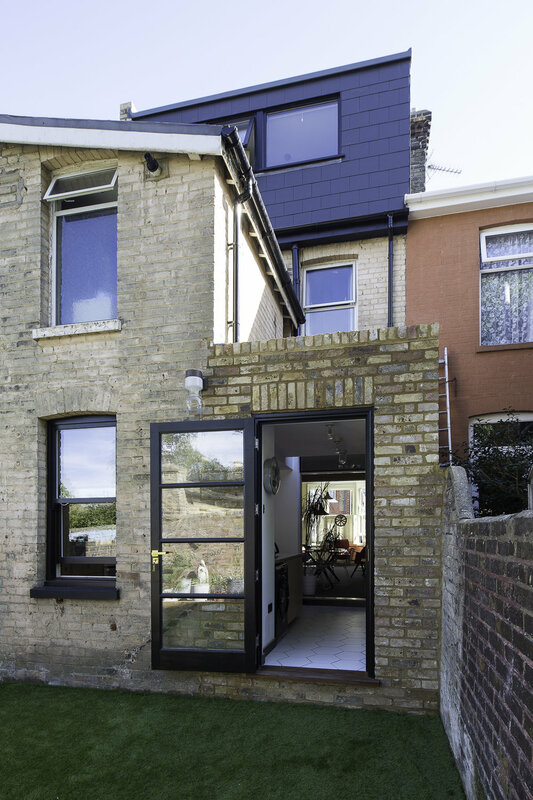 This refurbishment of a 2-storey terraced house in Ramsgate was a wonderful collaboration with the stylish duo behind Margate's much loved furniture emporium Junk Deluxe. Three new interventions were made into the existing property, extending within permitted development rights, to ensure this young family could adapt to their growing requirements: a side extension to enlarge the kitchen, which has also improved the flow of the ground floor and connectivity to the garden; a loft conversion to create a new bedroom with en-suite shower room, for the youngest member of the family and Junk Deluxe team; and a new stair connecting the first floor and new loft space. All three elements are unified and distinguished from the original building in their common detailing and materiality. 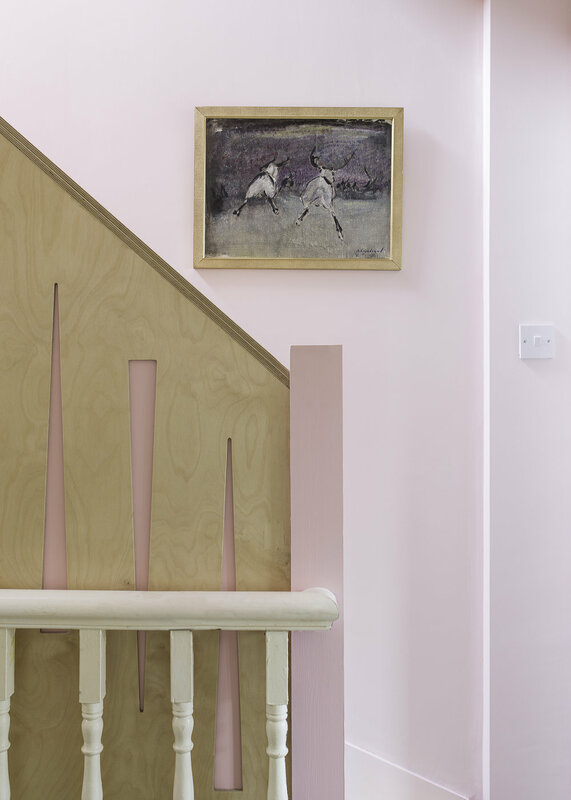 The birch-faced plywood joinery was skilfully fabricated and installed by Creative Carpentry. Interior photography by the talented Jo Bridges. I am also thrilled to have had the project featured in the March 2017 issue of 25 Beautiful Homes.